Blake Shelton's 40th birthday was certainly one to remember. In fact, you could call it "Hella Good." The Voice coach and country star's girlfriend, Gwen Stefani, who he has been dating for at least seven months, joined him as he and his band on their tour bus as they headed to the Country Jam 2016 festival in Grand Junction, Colorado, where Shelton performed as a headliner. The 46-year-old pop and ska singer also shared the stage with him. Stefani, 46, posted a slew of photos and videos from the celebration on her Snapchat. Shelton sported red-tinted "Happy Birthday" glasses and a 40th birthday badge. Shelton was presented with the ultimate gag gift—a pair of wine glasses bearing caricatures of him and Stefani, dressed in their outfits from Vanity Fair's Oscars 2016 after party, where they had made their red carpet debut. Blake was also presented with two cakes—a rectangular chocolate one decorated with colorful sprinkles and balloons, and one shaped like a black acoustic guitar. At the festival, Stefani joined him onstage as a surprise guest to sing with him their duet "Go Ahead and Break My Heart." The two had also performed the song together on The Voice and at the 2016 Billboard Music Awards in May. "This is fun!" Shelton told the Country Jam crowd, according to Taste of Country. "Y'all have been so freakin' nice to me on my 40th birthday and I guess if I had one birthday wish for me personally...I wish I could rock. I wish I was one of those type of artists that could rock but I can't." "For my birthday I wish I could hear an artist who could rock," he said. "That's my birthday wish." Stefani returned to the stage and performed her band No Doubt's 2001 song "Hella Good," the outlet reported, adding that Shelton followed with an encore—and a kiss for her. "I possibly witnessed the coolest and craziest thing of my life tonight..." Shelton tweeted. "Thank you Colorado and @gwenstefani!!!" 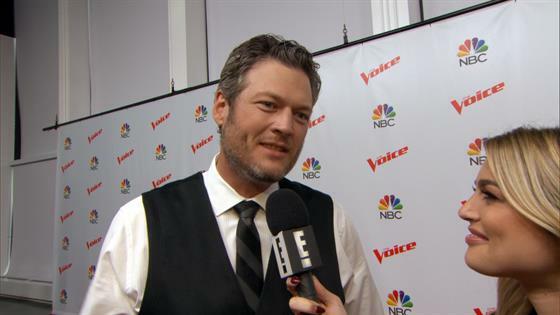 "@blakeshelton ummmmm?? Did that really just happen? #happybday #hellagood #breakmyheart gx," Stefani replied. Earlier in the day,she wished Shelton a happy birthday on social media in the cutest way, dubbing her beau her "favorite person."